A lot of vehicles in the market come with their own GPS system or devices, and yet a lot more standalone GPS devices are still out there. But if you’re in the trucking business, you know that you need a specific type of GPS suitable for trucks instead. If you have a fleet of trucks, you might even need a fleet management system, in which the option is to call the manufacturer and have that set up on several trucks. And it is also true that you can get GPS on just about any device with connectivity, like your laptops, an iPhone or any smartphone, but it is still best to get a truck-specific GPS unit. First, these units will be easier to read inside your truck, and two, you get truck specific information like, restricted routes, POIs and others. Detailed mapping is the top thing you need to look for in a truck-specific GPS unit. Whether you’re utilizing a 3D view of the streets for better cognition, or getting turn-by-turn instructions to get to your destination, The map accuracy for trucks is the key source of getting by if you’re not so sure of your location.One important thing that’s specifically important to truckers is re-routing information. Driver Assist features are also a big thing for truck drivers. Find locations for towing services, weigh stations, lodging, rest stops, and all other things a trucker would need to know to get some help other than the location of his destination. This feature is helpful in times of emergencies. If you’re managing a fleet, trip logging on these units also allow you to check and monitor hours of service, meal breaks, sleep hours, and mileage. These logs can be used even if more than 1 driver is assigned to a vehicle. Your GPS can also aid in the conservation of fuel. How? Well the first obvious way is that some GPS can tell you where to get the most cost efficient fuel, another way is that it tells you if you’re using too much fue by overspeeding, idling and other things. Of course the most a GPS unit can help you in this manner is finding the shortest and most direct route available for your truck. Look for a device that has fine connectivity. It is important that while you are getting valuable information from the unit, that you can still keep your eye on the road. The availability of ports also make it possible for you to connect different devices such as back up cameras, phones and DVD players. It is also important that you can install these devices most conveniently on any part of the dashboard or even possibly an overhead so it will always be at your line of sight. That sort of flexibility is important that you take so you don’t have to lose sight of the road. These aren’t the only things to consider, as GPS systems for truck keep improving. Try to do a bit more research, some features may need updated subscriptions like traffic updates. You may be driving into a regular territory that are bound by some restrictions, and some features may not be helpful. Here are 7 of the best truck GPS units for truckers. Just like other Truck GPS with service related information, the Truck and Trailer Services Directory will locate POIs that will help you get information for emergency and urgent needs. You can find establishments with its incorporation of Foursquare. Trip logs are also available, as well as truck routing. One thing this particular model understands is that you have to see where you’re going, and you have to see very well where we’re telling you to go, as well. The unit comes with a 7 inch HD screen that easy to look at, plus the buttons as well are big and distinct. This allows you to see the map in great detail. The loudspeaker allows you to receive the information when you tend to miss the screen. We have included the 5″ TND 500 version as well, as this was one of the very first truck specific GPS systems that was developed. Everything that makes a GPS unit do well these days, the TND 500 has undergone the necessary evolution for it. The unit however has a smaller 5 inch screen, but delivers with information that is important to your job in the trucking industry. What sets this GPS system apart is that this runs on your smartphone or tablet, depending on the preference of the driver. As most devices get screens of 7 inches or so, this allows you to download it on a 10-inch tablet for better viewing. The good thing about this is the onboard and offboard routing engines. That’s when you can get information even with the absence of the internet. This unit has a large 7 inch screen, and is very much capable of 2D or 3D views. Enjoy hands free turn by turn navigation that is voice guided. Find location by street names as well. The PC MILER Navigator 750 remembers truck specific routing across the USA and Canada. That’s all thanks to its map data which includes detailed street level maps. This 5.5 inch touch screen device has truck specific routing. Find out the best routes to use, by specifically indicating if you want the shortest, the fastest, the most practical or even if that route can accommodate a 53 foot long trailer. A huge amount of information can be downloaded from this tinier device, all POIs, all truck specific. Find places where you can stop, where you can get assistance, where to eat, where to stay for the night. The best part of it is that it is voice guided. Both 2D and 3D views available. This is even smaller than your 550. The screen is a 4.3 inch screen. If you are a company driver, an owner or operator, it will assist you in reducing out of route, empty and deadhead mileage. This will help you bring down costs for fuel, and improve driver efficiency, and even avoid vehicle damage. Indeed Big things come in small packages. Now that you’re very well acquainted with the best truck specific GPS systems in the market, it may help you decide on which one to get. 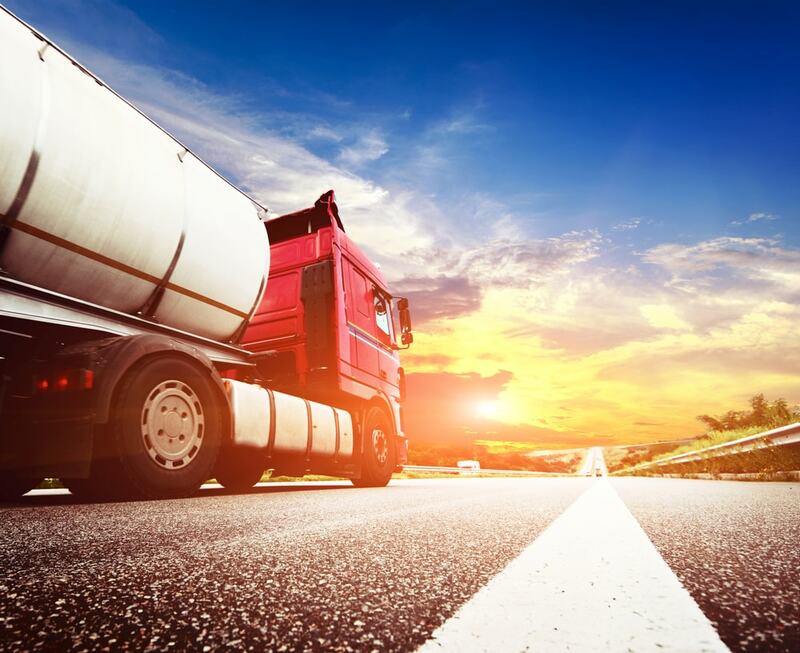 Choosing the best one for your trucking needs is very important, especially if it means this will directly affect how well your business grows. Choose your devices wisely for these.